British Politics in the Age of Anne is a book that anyone with an interest in the period will wish to possess: completely authoritative, yet as attractive to the student and the general reader as to the specialist. The author has both revised the text and written a substantial new introduction to this edition. 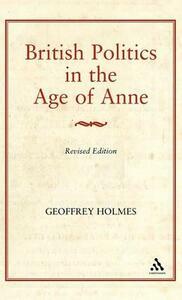 Geoffrey Holmes reveals how little the structure and contents of politics under Queen Anne had in common with the connexion-ridden scene of the mid-eighteenth century, as portrayed by Namier. He depicts a period of fierce and genuine party conflict, in which society at many levels was divided by great issues of principle and policy. Through frequent and hotly-contested elections and long parliamentary campaigns both Whigs and Tories enjoyed triumphs and suffered disasters. And while struggling against one another, each had to contend with internal factions and pressure-groups, the divisive thrust of personal ambitions and the hostility of the queen to single party rule. 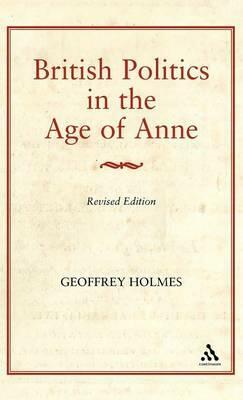 British politics in the Age of Anne is more than a major work of analysis and a historiographical landmark. By liberal use of quotation, eye for detail, sense of atmosphere and vivid character sketches of both leading and lesser personae, Professor Holmes recreates the unique political life of the high Augustan age.